Before Jane Austen, William Deresiewicz was a very different young man. A sullen and arrogant graduate student, he never thought Austen would have anything to offer him. Then he read Emma—and everything changed. 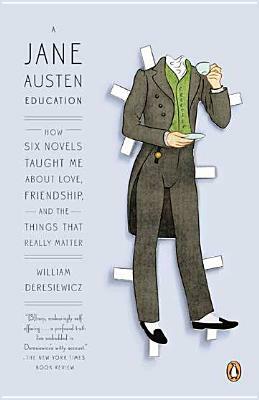 In this unique and lyrical book, Deresiewicz weaves the misadventures of Austen’s characters with his own youthful follies, demonstrating the power of the great novelist’s teachings—and how, for Austen, growing up and making mistakes are one and the same. Honest, erudite, and deeply moving, A Jane Austen Education is the story of one man’s discovery of the world outside himself. WILLIAM DERESIEWICZ is a widely published book critic and the author of Jane Austen and the Romantic Poets. He was nominated for National Magazine Awards in 2008, 2009, and 2011 and the National Book Critics Circle’s Nona Balakian Citation for Excellence in Reviewing in 2010 and 2011.